Family owned, California Cider Company, announced the release of its latest cider in the ACE Cider brand line. The cider, ACE Black Jack 21, was crafted to celebrate the 21 years California Cider Company has been making ACE cider in Sebastopol, California. Black Jack 21 is made of 100% local Gravenstein apples and fermented to 9% ABV before it is then aged in chardonnay oak barrels. The result is a French-style cider/cidre that just recently earned a 1st place award at the 18th Annual Great International Beer & Cider Competition held earlier this month in Providence, Rhode Island. Expect a dry cider that is very easy-drinking with notes of almost citrus and melon in the taste that is elegant and wine-like with a fresh apple aroma. Compared with other ACE Ciders, this one is more complex. The limited release cider is available in 750mL bottles and 5-gallon kegs. Only 2,500 bottle cases were made so get the cider now if you still can for $14.99. Santa Sidra, the newest hard cider in New Mexico’s growing craft beverage scene, bought 50,000 pounds of New Mexico-grown apples this Fall to make its award-winning hard ciders. 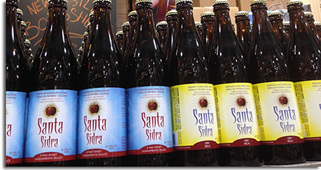 Launched in July, Santa Sidra is crafted locally in Santa Fe, New Mexico using locally-sourced apples and is available in many New Mexico liquor stores, bars and restaurants in Albuquerque and Santa Fe. 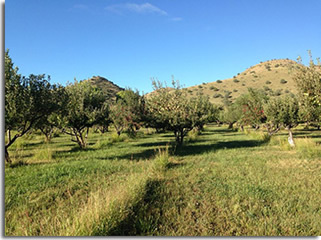 Zercher is not just bragging about making the best hard cider in New Mexico. 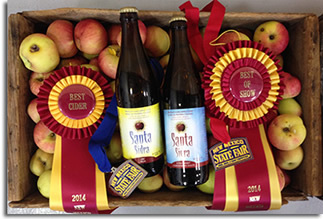 Both of the company’s ciders won honors at the 2014 New Mexico State Fair Pro-Am Beer, Mead and Cider Competition. Santa Sidra Seca (Dry) won a Silver Medal in the traditional cider category, and Santa Sidra Ligeramente Dulce (A Tad Sweet) took home a Gold Medal in the traditional cider category as well as the Best Cider and Best of Show awards – meaning Santa Sidra beat out all the commercially-produced beer in the competition. Seca is a dry cider in the most traditional way. It is slightly sweetened with pure cane sugar to balance the apples’ natural tartness and then lightly carbonated prior to bottling. 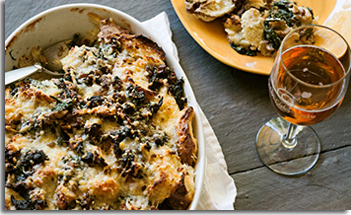 It has a 6.9% ABV and is naturally gluten-free. Ligeramente Dulce is slightly sweeter than the Seca and balanced with just the right amount of tartness. Also 6.9% ABV and naturally gluten free, this cider pairs well with spicy and savory fare like pizza, burgers, and green chile. Speaking about this year’s apple crop, Zercher said, “It was a rough year up north due to a hard freeze in May, but we were able to find several growers with apples near Cloudcroft and Silver City and also in Corrales.” Zercher estimates that the 25 tons of apples he bought this year will make as much as 3,000 gallons of hard cider, which he has already started fermenting in two, 1,100-gallon, stainless steel tanks. After fermenting for three to four weeks, the cider will be aged in a custom-built cider cave where it will be stored at cool temperatures before being carbonated and bottled at the company’s facility, the former warehouse of a solar energy company located in mid-town Santa Fe. To learn more about Santa Sidra, visit them online at SantaSidra.com. Photos are courtesy of Santa Sidra. Humboldt Cider Company announced that the renovation of the old milk barn at Redwood Acres Fairgrounds, California, the site of their new production and tasting rooms, is moving along smoothly. Using 70% reclaimed wood and other recycled building materials, the facility is a welcomed addition to the Humboldt County business community. The company is on schedule to open the outside cider garden and tasting room next month with the latest funding of the cidery by individuals via Kickstarter with over $37,000 raised. Co-owners, Michelle Cartledge and Jamie Ashdon, are not necessarily new to the alcohol beverage scene so a lot of their expertise in their previous jobs has helped get the cider company off the ground. Michelle's husband, Darren, started The Local Beer Bar in Eureka, California, more than two years ago and has been managing it since. Meanwhile, Michelle works at the bar and the Redwood Curtain Theater. Further, Jamie is the co-owner and operator of Humboldt Beer Works, a homebrew suppliers, retailer, and has been fermenting beer and cider for more than 10 years. 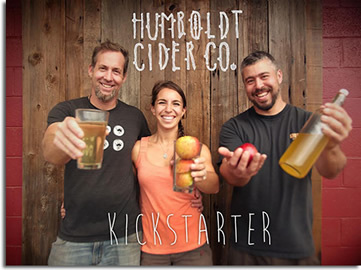 Humboldt Cider Company, the first-hard cider company in Humboldt County, uses hand-picked, fresh-pressed apples picked from small, family-owned farms to produce their products. In addition, the company has a small acreage where they plan to grow trees to source their own supply of apples to produce quality, hand-crafted cider. For more information on Humboldt Cider Company, please visit HumboldtCiderCompany.com. 2 Towns Ciderhouse is excited to announce the recent release of Fly’n South, an apple and gooseberry cider. The cider is the fourth installment of the cider company’s limited release line. Fly’n South follows the “limited release” model of unconventional ingredients paired together to create unexpected and tantalizing tastes. Fly’n South boasts locally grown whole Oregon gooseberries, fermented with 100% fresh pressed Northwest apples. Paired perfectly with pasta carbonara, rich lobster risotto and potato pancakes, Fly’n South is dry, tart and perfect for the long haul. As always, 2 Towns Ciderhouse uses fresh-pressed 100% Northwest apples, no added sugars and never uses artificial essence or flavorings. Instead, the company allows the fruit to speak for itself. Fly’n South is now available in the taproom, and has been distributed in bottles, 1/6bbl. kegs and 1/2bbl. kegs. Less than 1000 cases were bottled earlier this month for distribution in Oregon, Washington, California and Minnesota. 2 Towns Ciderhouse is committed to pushing the bounds of what cider can be, while also honoring tradition. 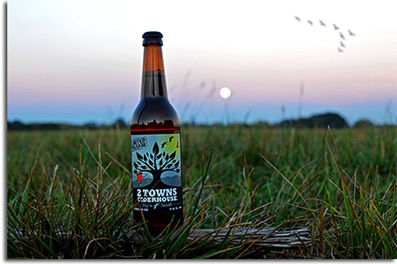 To continue its interest in the unexpected and daring, 2 Towns Ciderhouse created the “limited release” line in 2013. 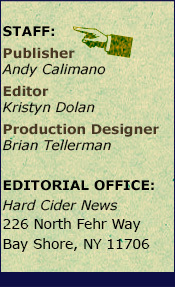 For more information on Fly’n South and other 2 Towns ciders, please visit 2TownsCiderhouse.com. Photo from 2 Towns Ciderhouse. SBS Imports and the Seattle Beer Collective are pleased to announce the return of their successful Cider Summit festival to Chicago, Illinois. This year’s event will take place on Saturday, February 7, 2015 in two sessions - 11am-3pm and 4pm-8pm in the Grand Ballroom at theNavy Pier. Cider Summit Chicago is presented by Binny’s Beverage Depot and will once again benefit The Great Lakes Cider & Perry Association and Heartland Alliance. Tickets are $30 and will be sold online only via CiderSummit.com. Admission includes a souvenir tasting glass, eight tasting tickets and a donation to Heartland Alliance. Additional tasting tickets will be available for sale onsite at $2 per ticket. Designated driver tickets are available for $5, and include a bottle of water. A separate ticket is required for each session. The event is 21 and over only. A sell-out is expected, so please purchase in advance. For those seeking to utilize public transportation, Chicago Brew Bus will provide shuttle service starting at 10:30am between the Blue Line Grand stop, Red Line Grand-State stop, and Navy Pier throughout the day. Chicago Transportation Authority (CTA) buses also run directly to the Navy Pier. Onsite parking is available in the Navy Pier garages. Cider Summit is made possible with supporting sponsors The Northman Cider Bar, Hotel Palomar, Chicago Brew Bus, and Louis Glunz Beers. More information is available at CiderSummit.com. 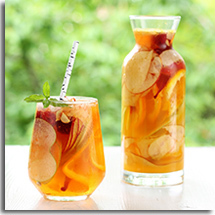 Wyder’s Hard Cider has specialized in eclectic fruit-forward ciders for more than two decades. Earlier this month, Wyder’s announced the launch of a new cider style inspired by a tropical agave-based spirit, Reposado. Reposado is the name given to tequilas aged between two and twelve months in oak barrels. The practice of wood aging smoothes out the tequila, while infusing it with subtle oak notes. By infusing the traditional Wyder’s Pear cider with smooth subtle oak laden tequila notes, Wyder’s Reposado cider creates an adventurous tango with the classic blue agave based spirit. 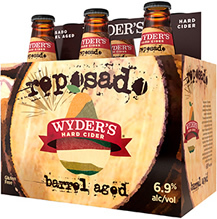 Wyder’s Reposado was released on draft to select West Coast markets in late 2013 for market testing. After an overwhelmingly positive response, Wyder’s decided to roll the cider out nationally in six-packs. It has hit some store shelves already but most by this winter. The refreshing cider, crafted with some inspiration from south of the border, is 6.9% ABV and has a retail price of $10.99 per six-pack. Visit the Wyder’s Cider Locator to find Reposado near you.